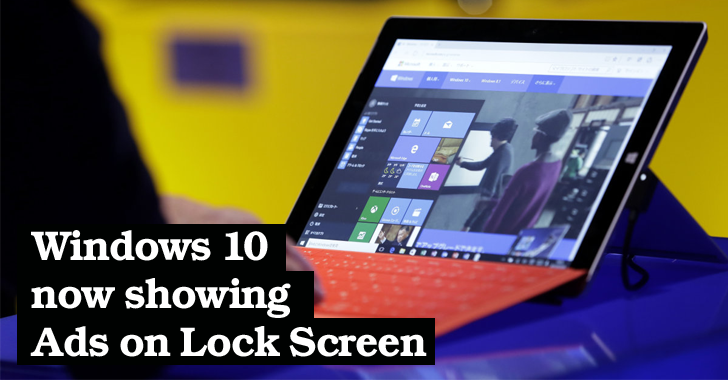 If you've upgraded your older version of Windows OS to an all new Windows 10 operating system then you may have noticed an advertisement appearing on your desktop or laptop’s lock screen over the past couple of days. Yes, this is what Microsoft has chosen to generate revenue after offering Free Windows 10 Download to its users: Monetize the Lock Screen. Thanks to Windows 10's new Spotlight feature that usually shows you clean and beautiful photographs and fun facts on your lock screen, but now started displaying advertisements to over 200 Million devices running Windows 10. 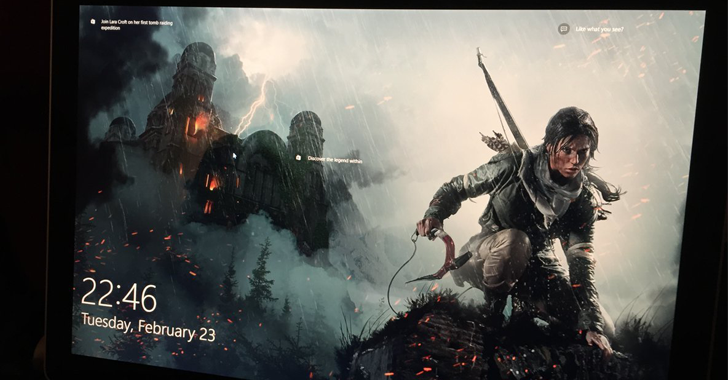 Some Windows 10 users have reported seeing ads for Rise of the Tomb Raider with links to Windows Store from where users can purchase the video game. Microsoft started selling the game last month. Although the ads are not as annoying as the Windows 10 privacy concerns related to the way Microsoft collects your personal data, the good news is that you can turn the ads OFF. Must Read: How to Stop Windows 7 or 8 from Downloading Windows 10 Automatically. The advertisements are because of the Windows Spotlight feature in your Personalization settings. 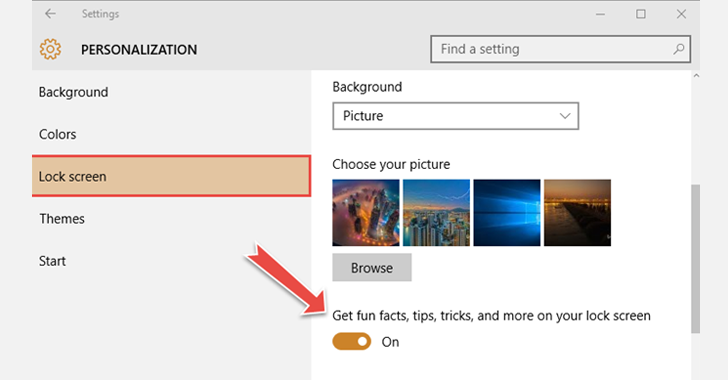 Under 'Background,' Choose either 'Picture' or 'Slideshow,' instead of Windows Spotlight. Now, Scroll down to 'Get fun facts, tips, tricks, and more on your lock screen' and uncheck this box. The advertisements are turned ON for your lock screen by default, which is definitely a clever way to offer companies to reach their customers, without mentioning the word 'advertisements' to the Windows users. Also Read: If You Haven't yet, Turn Off Windows 10 Keylogger Now. As I previously said: Nothing comes for Free, as "Free" is just a relative term. Everything comes with its own price. As warned last year, Microsoft also started pushing Windows 10 upgrades onto its user's computers much harder by re-categorizing Windows 10 as a "Recommended Update" in Windows Update, instead of an "optional update."